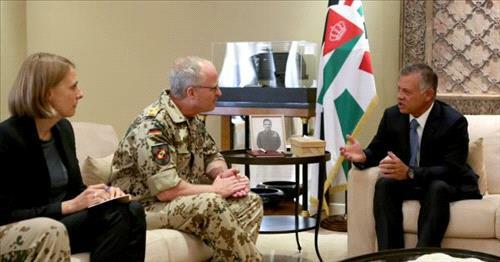 AMMONNEWS - His Majesty King Abdullah II on Monday received Chief of Staff of the German Federal Armed Forces (Inspector General of the Bundeswehr), Eberhard Zorn for talks on bilateral ties and ways foster two-way cooperation, particularly in the military domain. The meeting discussed regional and international efforts to counter terrorism within a holistic approach. Attending the meeting were Chairman of the Joint Chiefs-of-Staff and Adviser to His Majesty/Director of the King's Office.